Many job seekers consider their resumes to be documents which highlight their best potential. 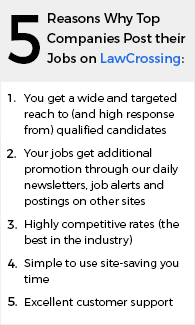 Alternatively, job postings are an ideal way for companies to put forward the finest points about their company and attract the right candidates. Employers today need to understand the power that job postings carry to attract the right candidates and set aside the less than ideal candidates. Despite the importance that most employers theoretically give to job posts, actually, very few job postings have the right stuff in them to attract the right candidates. Frankly, most job postings make a poor show of the company and the recruitment team. This can be due to many reasons, such as lack of quality time to write out an attractive job post. In fact, many job postings are really without good substance. The task of writing a good ad cannot be really overemphasized. A smart job post not only grabs the reader’s attention, but also can reduce the hiring time and increase the period that a candidate can last in employment with the employer. Certain rules exist about what you need to put in a job post. Actually, the process begins from the pre-writing phase. Before penning down a job post, you need to visualize what the post actually demands from the candidate and be sincere about the work you need to expect from them. It is always advisable to avoid jargon and fluffy terminology in your job posts. Using fillers in your job posts is also a big no-no. Pen a truly honest job post and avoid exaggeration at all costs. Many employers entice candidates with sugar words and promises of greater rewards. However, such job posts usually attract candidates with lesser capabilities and only end up adding to the attrition rate. If you require candidates with smarter capabilities then you need to write a smart, honest and upfront job post or job ad. Moreover, if you try and flaunt yourself too much in the job ad, you could risk the chances of attracting over qualified candidates. That said, you will then face problems while trying to expand the job to accommodate their expectations. It may sound a bit odd, but your job post must also include certain hurdles to discourage at least some of the applicants. These barriers filter out the unmotivated and unenthusiastic candidates and let only the qualified and motivated ones apply. The greatest problem that human resource managers face during the recruitment process is the process of sorting candidates. This can be sorted out if the job ad is strong enough to describe aspects like corporate culture and corporate governance. Using a language that incorporates stronger undertones, you can decrease the size of the pool of applicants. This is a critical process since many applicants apply to literally hundreds of jobs per day. Once that you have written a perfect job posting that meets the aforementioned parameters, you will surely get the applications coming in from the right candidates. Gear up your HR team and go ahead with the recruitment!